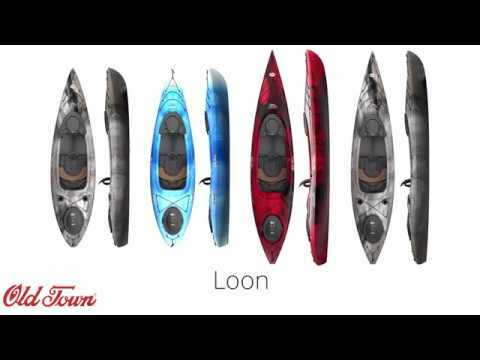 The Old Town Loon 126 is the world's most advanced recreational kayak. 20 years ago Old Town canoe changed the way paddle sports thought about recreational kayaks with the Loon Series. Two years ago the team at Old Town set out to recreate the ultimate recreational kayak. The new Loon series features a completely redesigned hull that provides effortless glide and straight tracking. Equipped with the super plush ACS2 seat featuring easy and intuitive adjustments, under-leg support, premium padding and flow-through ventilation. The ACS 2.0 is the most advanced seating system on the market. The Loon also features a removable workdeck providing customizable space for cameras, gear and water. 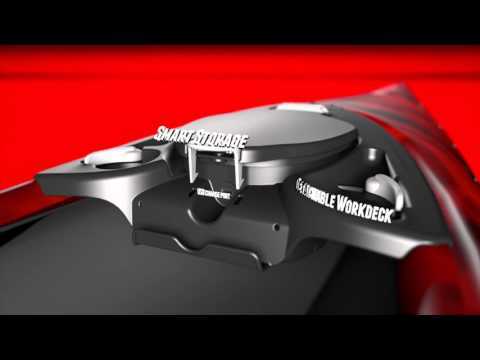 The workdeck also features dry storage and a USB charge port to keep your gadgets charged even after hours on the water. Battery (owner supplied) can be plugged in and stored inside work deck hatch. Additional features include a Click Seal hatch, bungee deck rigging, paddle clip, and bow and stern carry handles. Love the new design of the Old Town Loon 126. Ordered & delivered on time. Great customer service. I love the new Loon! The 126 is the best recreational Kayak I've ever used. I'm 6' 2", 270lbs and have more than enough room to move around and reach where ever I may need to, even with a PDF on and a 5 year old passenger in front of me. This Kayak tracks extremely well and is very fast hull for a wider Kayak. The work deck is very easy to reach and after taking on the rain & waves on it's maiden trip I can attest it's absolutely waterproof. The new seat is very comfortable for long trips and easy it's easy to adjust. The storage hatch area is secure, waterproof and fairly large. I can't remember of having used a better 'recreational' Kayak for trips in lakes and rivers. If you're a person of larger stature, or need to carry lots of goodies, this is an excellent Kayak that I highly recommend! As a side note, the shipper accidentally damaged the first one pretty bad and ACK took very good care of me by immediately getting a new one out to me and arranging the damaged one to be picked up, all within a week, saving a big weekend of Kayaking that had been planned over a month ago! ACK has amazing customer service, thanks guys! Q: I am trying to decide between the Old Town Loon 126 and the Loon 106. I am new to kayaking, but loving it so far (with a borrowed kayak). I will be using it on rivers, no whitewater, fishing and photography. Also on some lakes for exercise. I am 5'3", weighing 145#. I am 60 years old and have spent my life doing outdoor activities. Can you give me some advice please? A: I would suggest going with the loon 106. It will be easier to transport and move around with. Q: Can the Old Town Loon 126 be used for day trips and short voyages on the Ocean? Say Texas to Mississippi? Q: What are the dimensions of the compartment on the "work deck'? I'm curious how big a battery pack would fit in there. A: It appears the good folks at Old Town beat us to the punch, but for those who did not see the response: Measurements of the compartment area of the Loon Work Deck under the storage lid are as follows: 7 inches high 7 1/2 inches wide 4 1/2 inches deep in the shallowest position and 6 1/2 inches in the deepest position.